Dr. Vladimir Zeetser is a board certified podiatric physician and surgeon specializing in reconstructive foot and ankle surgery. He is certified by the American Board of Podiatric Surgery both in Foot Surgery and Reconstructive Rearfoot and Ankle Surgery. 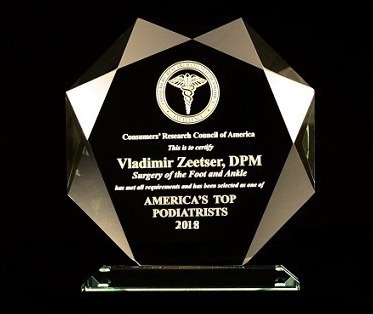 As an innovator and trendsetter in his field of foot and ankle surgery, Dr. Zeetser is at the forefront of expanding aesthetic foot surgery and associated procedures to improve his patients' self-image while achieving among the highest functional outcomes and levels of patient satisfaction. Dr. Zeetser feels that surgery should be minimally invasive and minimally painful with a convenient and tolerable recovery, while producing the maximum results. 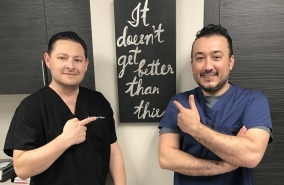 He believes that the aesthetic result of any procedure is not a secondary consideration, but is just as important as the primary condition being corrected. 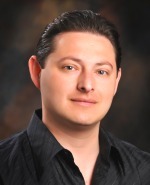 Dr. Zeetser is equally well known for his work in the area of advanced foot and ankle wound management and limb salvage, and he has consistently achieved unparalleled results in healing problematic wounds. Patients travel from all over to receive his world renown expert podiatric advice and treatment. A Los Angeles Podiatrist winner of the 2018 Patients' Choice Awards. Completed: October 2015 Aesthetic Foot Surgery Fellowship & personal training with Dr. Zeetser for FastForward™ Bunion Correction. Spider veins (known as telangiectasias) in the lower extremities are the result of varicose veins with leaky or incompetent valves. It is a relatively common deformity and typically poses a cosmetic concern for women more often than men. 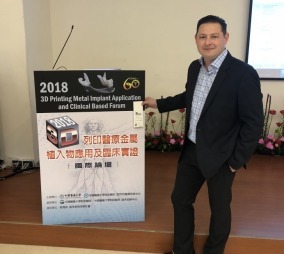 Dr. Zeetser gives Keynote Speech about FastForward Bunion Surgery and 3D Printing in Taiwan in June 2018.